Designed to withstand heavy use in high traffic areas, indoors or outdoors. 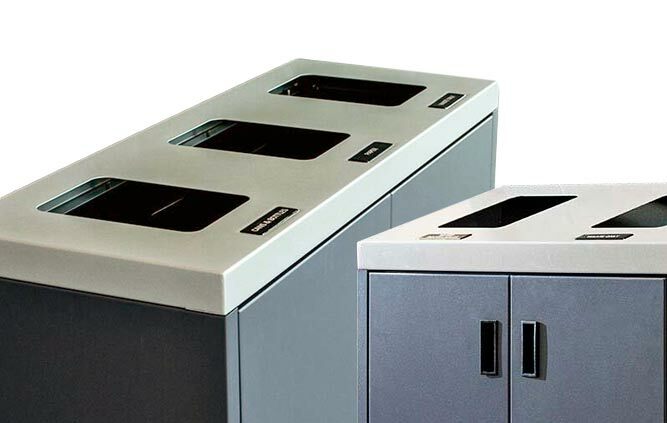 The Excel Slant Top Recycling Station features front deposit openings with front or optional rear service doors. The slanted roof design cleverly sheds dirt and debris and self-cleans with rainfall. 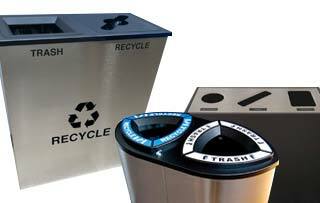 Slanted tops also discourage users from leaving items on the top of the bin and other undesirable behaviours.